This guide will help you get the BEST Fallout 3 & New Vegas experience possible. This is accomplished by combining Fallout 3 and NV into a single game that a single character can experience ALL OF almost seamlessly. 1 - If your load times become excessive, find and disable the TTW Options plugin, your load times should instantly snap back to normal. Any changes to your options made will NOT be lost. 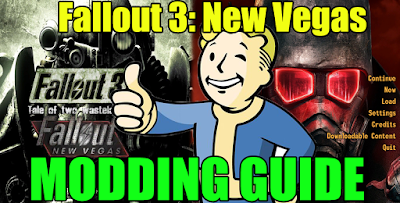 2 - To avoid any script conflicts, try to start New Vegas BELOW, at, or close to level 30. The further beyond 30 you are when you start New Vegas for the first time, the higher the chance of having issues. 3 - Finding the way to NV for the first time can be difficult, I'll be putting up a TTW video on how to do that soon.